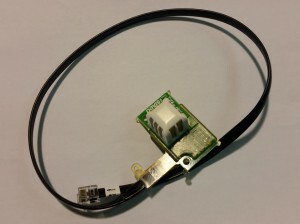 Replacement temperature/humidity board for Vantage Pro2 systems. Part number 7346.070. This part is user-replaceable and instructions are provided with the product. For stations manufactured prior to January 2016 you will need to add in a temperature offset on the console. You can check the date of manufacture from the Mfg code. The first two numbers after the initial two letters indicate the year of manufacture.